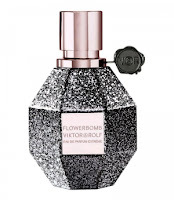 How to Wear Perfume and Make it long lasting? For a lighter scent all around spray perfume in the air and walk through it. Scent that is gentle enough to wear in the day time, but strong enough to wear at night. Buy it on our Amazon link attached, Nordstrom, Neiman Marcus, or Saks Fifth Avenue. Ladies you have to smell this fragrance that will just make you want to melt and it will have everyone wanting to know what you have on. We absolutely love Viktor & Rolf’s Flowerbomb fragrance and we give it our sparkling SMOOCH. A little goes a long way so we also give it 2Kisses and a Wink.